TravelUR is an online portal to organize your traveling destinations with their rich information to guide along your favorite vacation destinations. TravelUr will surely help you to gets all the information related to your Travel Tour Deals using the Social Media features. It'll guide how you can customize your travel deals based on your Interest if you are going to create the profile on TravelUr using their app. As they are chanting that their motto is making your Travel more memorable, meaningful and hassle-free. Now TravelUR is giving you a chance to Invite your Friends on TravelUR, create groups and earn free paytm cash. TravelUR UR travel companion has initiated this TravelUR Refer and Earn scheme where you can Invite or Refer TravelUR to your friends and create the group about your Travel destinations and ask your friends to Join this group. After creating the group of maximum numbers of members. Group admin will be benefited a chance to Win 5000 Rs Paytm cash. Still, if you are not able to make the group that having the highest members then you can Refer 3 of your friends to earn at least 200 Rs Paytm cash. So how you can earn free paytm cash on TravelUR? Now this question will arise in your mind. 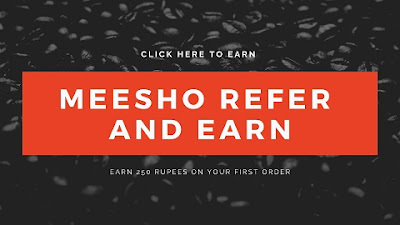 How you can refer your friends on TravelUR and Earn 200 Rs Paytm cash. How To Refer and Earn on TravelUR? First of all go to this Link CLICK HERE. After that wait for few seconds and Sign Up with Your Email ID. Don't use OAuth System like Sign with Google or Sign with Facebook to Sign Up. After that fill your Name, Last Name, and Email ID and Confirm Email ID. Now the most important thing is here that you have to fill out all the details as it is the part of a survey to complete. Now after this a pop-up window will appear to complete the profile (It's Important to fill every detail). Fill country code and then the Phone number and verify it with OTP. After this fill DOB and Gender. After Searching Me Send Request "Add Friend" and I'll add you. You must have to add me on "Travelur" as Friend. After that, you'll be eligible for Referring Friend. After that Search the Grop "Manali Trip" and send a request to be the member of that group. The Link of the Particular Group is here Manali Trip. Request to Join in this Group. 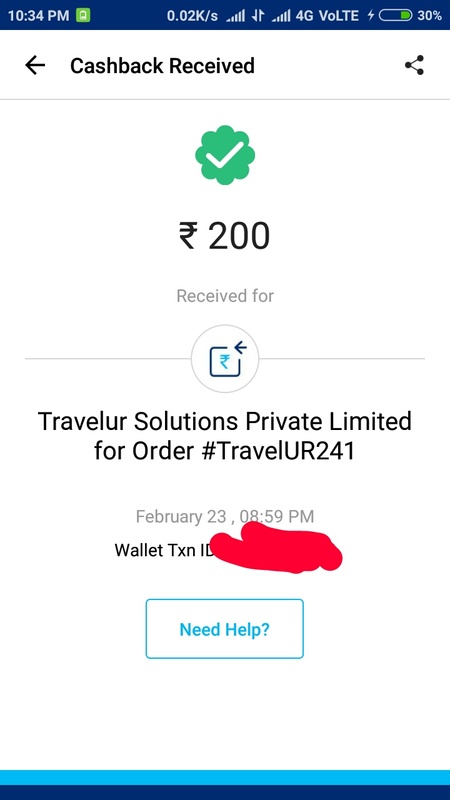 How To Get Referral Link on TravelUR in Order to Earn 200 Rs Paytm Cash. Now after doing the above steps. There on the Upper Left Corner, you'll see the Refer Button Floating. Now Click on the Refer Button and Enter Your Name, Email and Phone Number and Click on Start. After this Copy, your Referral Link or you can share on WhatsApp or Email. When your Sign up with your Referral Link and Complete his/her profile 100% then it'll be counted as Successful Referral to earn free paytm cash on TravelUR. After this Create your group and invite those 3 referred friends in your group to earn 200 Rs Paytm cash. Unlimited Trick For TravelUR to Earn Paytm Cash. First of all, Copy your Referral link. Now Clear the Data of Your existing browser. Now after this Turn off your Mobile Phone Data for 10-15 Minutes. After this, you can use Gmail dot trick for Unlimited emails or you can use Disposal mail services. Now Sign up with your Referral link and use new number to verify the OTP and do all the above process. Complete the Profile 100 % Successfully and Invite friends to your group as well. Follow the steps, again and again, to Refer yourself and be eligible to earn paytm cash. • New users & existing users can create travel groups. • Groups should be travel related. • The person who joins in the group should be new user & all group admin & group members who join in the group should complete 100% of their profile information. • Group admin should add profile image to group & should fill all the group information. • The contest will start on 19th July, 2018. • Users will get Paytm cash to registered mobile number within 24 working hours after creating group & inviting a minimum of 3 friends. • Users can win maximum one voucher. • TravelUR reserves the right to reject any entry or disqualify any participant(s) from participating in the contest without assigning any reason. The decision of TravelUR in this regard shall be final and binding upon the participant(s) without any demur or objection. • The final right to choose the winner rests with the management of TravelUR and their decision shall stand final. • The contest is open to all residents of India except the employees and the family members of the TravelUR, its associate companies, its advertising and promotional agencies. Minors are not allowed to participate in this contest. • There is no entry fee and no purchase necessary to enter this contest. • TravelUR reserves the right to use all assets (content/images) that are created with respect to this contest. • The entries must not contain any provocative, objectionable or inappropriate content. • Prizes given are non-transferable and cannot be exchanged for cash. Group admins with 3 group members get 200 INR Paytm Cash & Group admins with 5 group members get 300 Paytm cash. So this is the post about how you can earn paytm cash on TravelUR by just referring 3 friends of yours to earn 100 Rs Paytm cash. Make sure that you are going to follow all the steps carefully so that you can be eligible to earn paytm cash from TravelUR. Incoming Search Tags:- TravelUR Refer and Earn 100 Rs Paytm cash, TravelUR Paytm Earning Trick, TravelUR Refer 3 Friends and Earn, earning proof of TravelUR, Proof of earning from TravelUR, Paytm earning trick for TravelUR, Refer and Earn Travelur Paytm, Refer 3 friends and get 100 Rs Paytm.